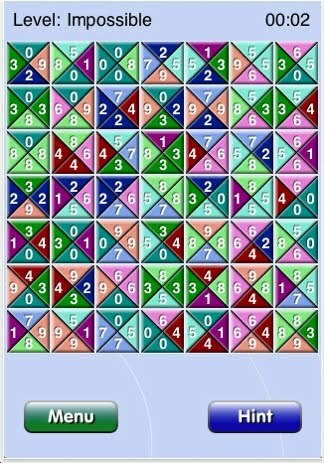 Many years ago I discovered edge-matching puzzles. One company, long forgotten, produced a series called Crazy Penguins and other Crazy Animals. Rubik came out with 4 versions called Rubik's Tangle. All were 5x5. If you had all 4 sets, you could make a 10x10. 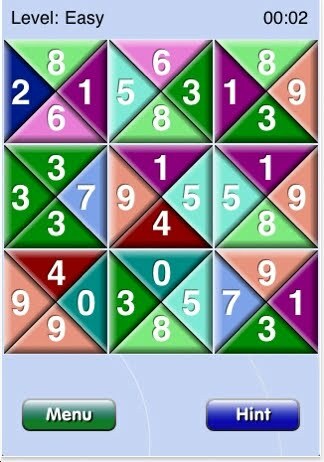 I spent many hours on just one of the 5x5 levels and did not succeed. A company called Zoki produced an interesting series of edge-matching puzzles. Instead of producing a square, the objective was to make a 2x6. They also had a hexagonal series. Tileavex has grid sizes from 3x3 to 7x7. .99 you can't go wrong! These are fun. Who knows, you may get addicted to these, like my friend Luc from Belgium who has an amazing collection of edge matching puzzles. does anyone know if i could play puzzle pirates on the iphone? Is there a "FIND THE MISSING OBJECTS" puzzle app for iPhone/Touch?